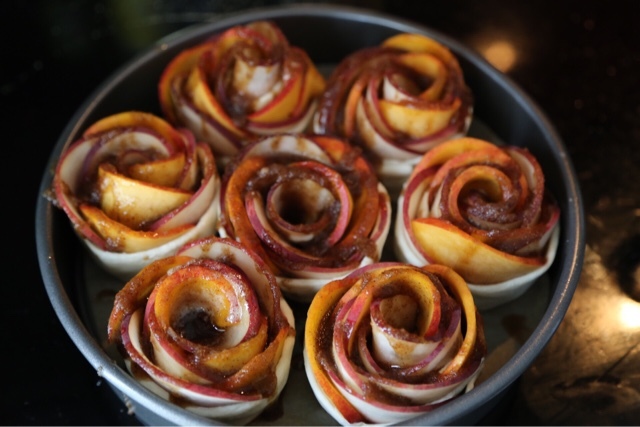 About a month ago I came across a clip of a guy making these stunning roses out of apples for an apple tart and was immediately inspired to give it a try. Well, they turned out amazing and I got a lot of attention for the photos I posted of them but I must admit that making them was more time consuming than I prefer. I'll say it right here, right now...I have cooking A.D.D! If I'm making/baking something and the prep is going on and on, my mind starts to slowly drift and think about other stuff or I get completely distracted and mess with a different task and thats how cooking disasters happen. 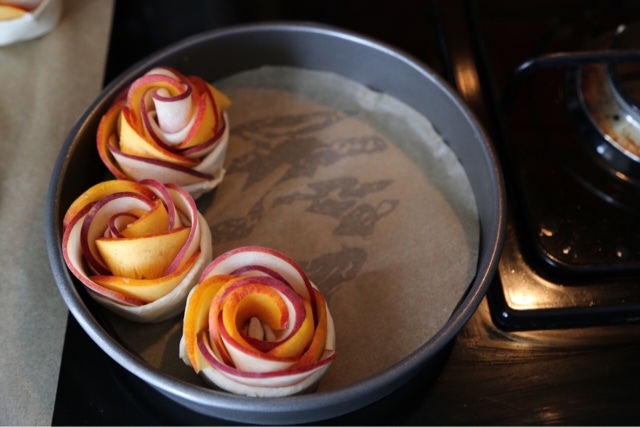 Anyway, thats what lead me to trying out an easier version of this recipe which is why I chose peaches over apples because the peaches are soft already and once sliced can be made into roses immediately without any pre-cooking. Wham bam and they're done! 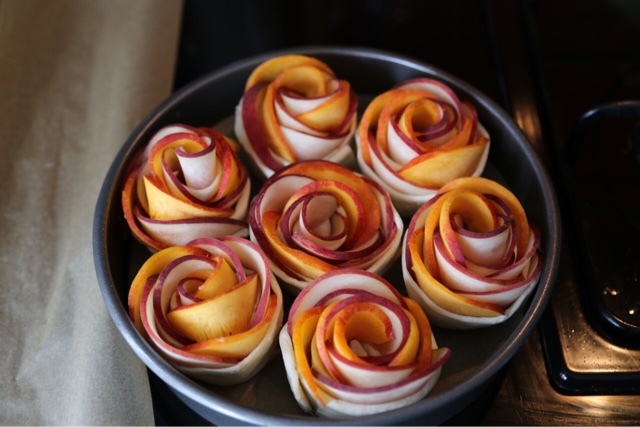 I used peaches and nectarines for this recipes just to get two different colors for prettier roses but you can use just peaches if you want. 1.) 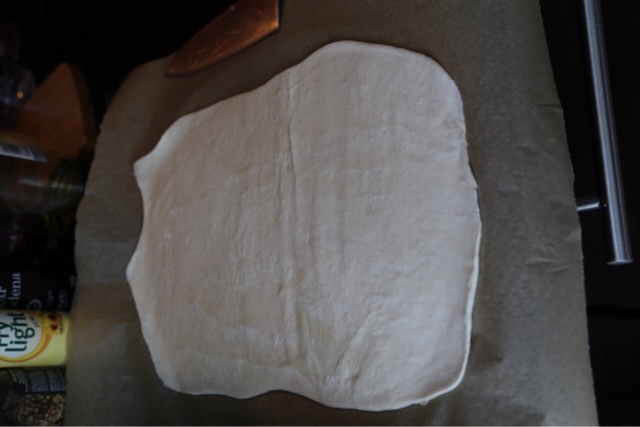 Preheat oven to 200c/390f and line a round cake pan with parchment or cupcake pans with papers. 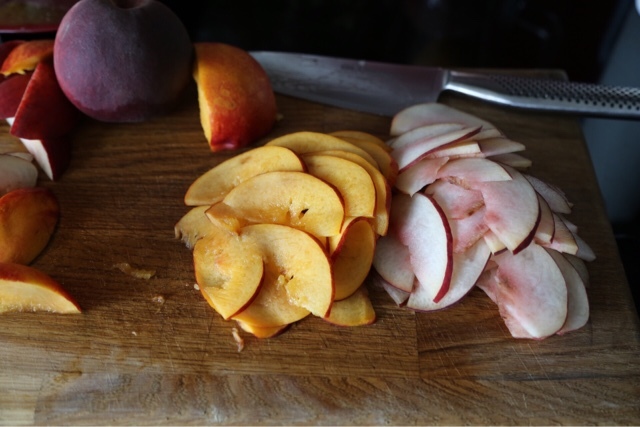 Halve the peaches/nectarines and remove the pits then cut the halves in half. Now make thin slices, about as thin as a coin. Set slices aside. 2.) 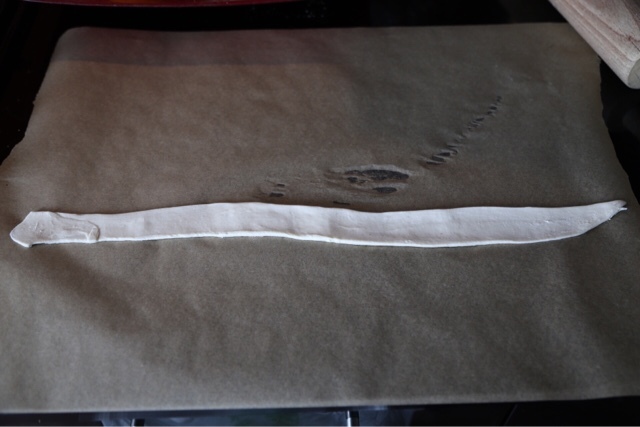 If it isn't already, roll out the puff pastry and cut out approximately 15" long by 1" wide strips. If necessary roll out the strips individually to stretch them out further. 3.) 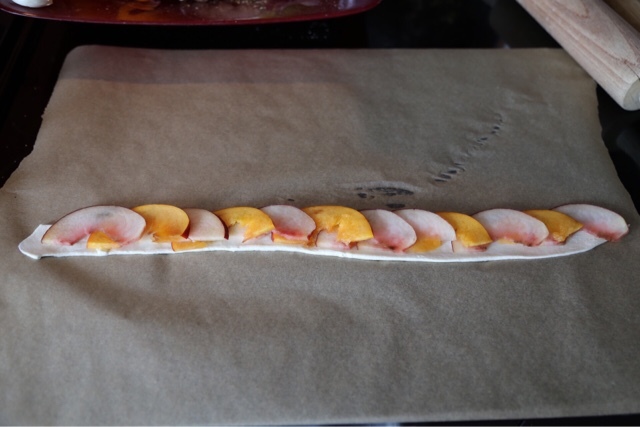 For each strip, lay the thinly sliced peaches/nectarines so they overlap slightly (see photo guide below) and gently press them into the dough as you go. 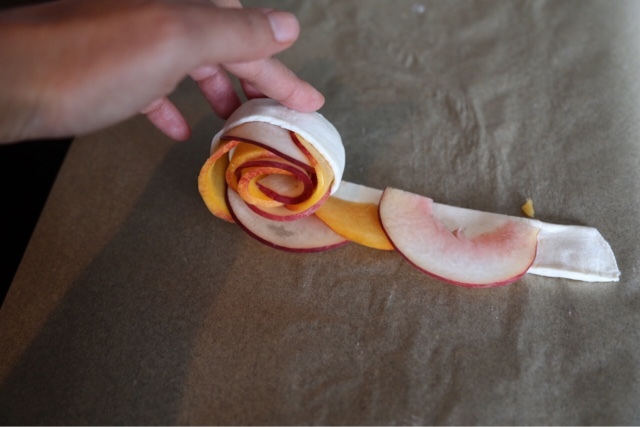 Then carefully roll the dough and fruit in a spiral, sealing the dough at the end. Arrange is greased and papered cake tin or cupcake tin. 4.) 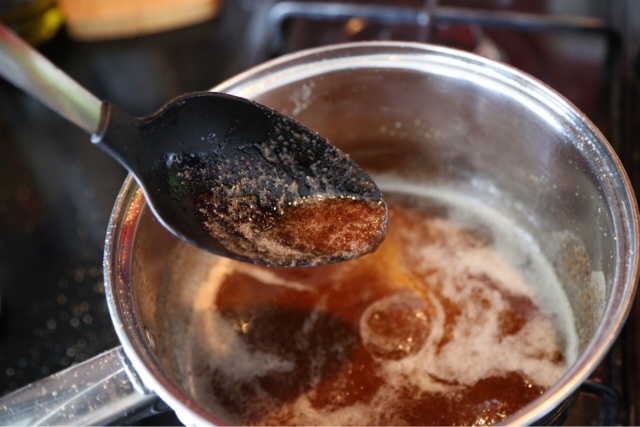 For the brown butter sauce, heat the butter in a saucepan on medium heat till it starts to turn a light brown color. 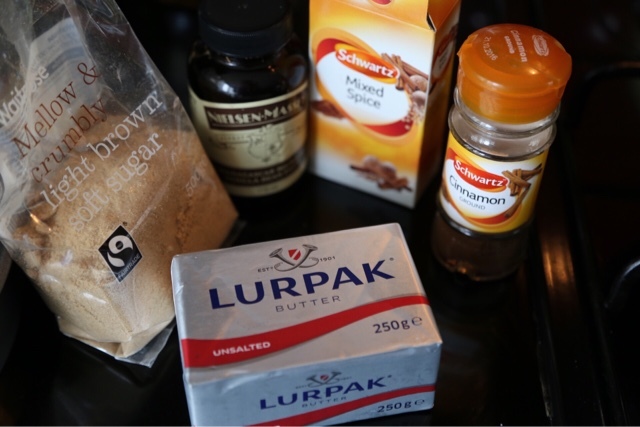 Turn heat to low and stir in the remaining ingredients till a syrup is created, about 2 minutes. Remove from heat and drizzle the town butter sauce evenly over the roses. 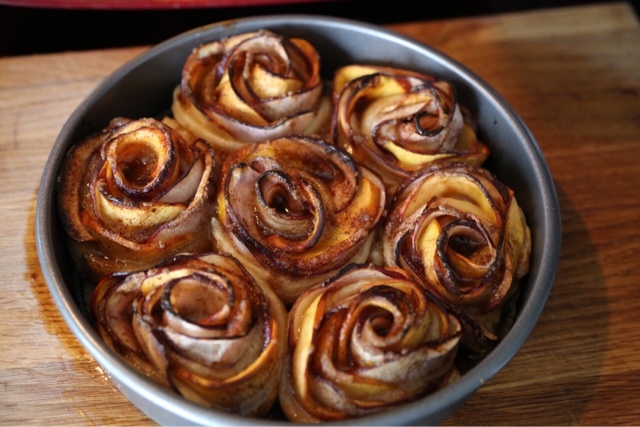 Pop in the oven for 20 minutes then place a sheet of foil lightly over the roses to prevent them from burning and bake an additional 10 minutes. Serve hot with vanilla ice cream or whipped cream.